We're looking for your best ideas for content to help shape our Splash! Wash Talk topics. We'll be offering sessions every 15 minutes throughout the event, and we want your ideas. 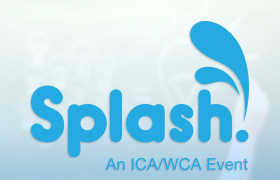 Post a video or an idea on our Splash Wash Talk Contest page, tell us what you want to hear about and you could win a free pass to Splash! Vote for your favorite idea, and we'll take the 30 best ideas and deliver them for you in Las Vegas in October! Brown Bear Car Wash has donated $10,581 to support the Fred Hutch Climb to Fight Cancer—the result of a one-day fundraising effort. The Seattle-based, family-owned company donated $1 for every car washed at its 22 tunnel locations on June 30. Visit http://www.carwash.org/news-landing/2016/07/11/brown-bear-car-wash-raises-$10-581-during-one-day-event-supporting-the-climb-to-fight-breast-cancer to view the full article online. On Saturday, July 9, the PEPC MOPS (Mothers of Preschoolers) II chapter was able to raise a total of $731 towards their scholarship funds and service projects at their car wash fundraiser hosted by Kwik Car Wash.
Visit http://www.carwash.org/news-landing/2016/07/11/local-mops-group-raises-over-$700-at-kwik-car-wash-fundraiser to view the full article online. It's a bit later than originally planned, but a new car wash in the village will soon open its doors. Jilly's Car Wash, which is being built on Willow Grove Drive north of Capitol Drive, will open in early- to mid-August, said owner Jon Zimmerman. Visit http://www.lakecountrynow.com/news/lakecountryreporter/new-car-wash-in-pewaukee-to-open-in-august-b99758571z1-386325801.html to view the full article online. After 21 years running area small businesses, Jeff Montgomery is expanding his leadership role by finally bringing his successful Wishy Washy Car Wash to Kennett. Visit http://www.dddnews.com/story/2320916.html to view the full article online. A local charity car wash at the Jet Wash Auto Spa in Airdrie on July 9 raised money to build houses for five families in need in the Dominican Republic this fall. Visit http://www.airdriecityview.com/article/Car-wash-raises-money-for-Dominican-Republic-20160707 to view the full article online. Quick Quack Car Wash, a Roseville, California-based company, has announced the first of three car wash acquisitions to be remodeled and rebranded as Quick Quack Car Wash in the Coachella Valley. The first location at 68279 E. Palm Canyon Road (Highway 111) in Cathedral City will be giving away free car washes for 10 days to celebrate its grand reopening on July 12 through July 21. The car wash is open daily from 7 a.m. to 9 p.m.
Visit http://finance.yahoo.com/news/quick-quack-car-wash-celebrates-183900610.html to view the full article online. Employees at a Gainesville car wash helped capture an attempted kidnapper and carjacker last week. A woman was vacuuming out her car at Xtreme Clean Auto Spa on Friday when police said, Eric Timothy Davidson, 27, jumped into the driver’s seat while the victim's child was in the back. Visit http://www.wsbtv.com/news/local/hall-county/car-wash-employees-take-down-attempted-carjacker/391139446 to view the full article online. The same technology that the Navy has been using to track down enemy subs since before World War II will now be making sure nothing – and nobody – touches your car at a Saucon Valley car wash.
Visit http://www.lvb.com/article/20160705/TALK/160709952/no-sea-monsters-here--sonar-finds-better-way-to-clean-your-car to view the full article online. "I’ve never spoken about this publicly before. It’s hard," Sheryl Sandberg said about her husband’s unexpected death one year and 13 days after the fact to the audience of graduates at this year’s commencement ceremony at University of California, Berkeley. She went on to say, "I am not here to tell you all the things I’ve learned in life. Today I will try to tell you what I learned in death." Visit https://www.entrepreneur.com/slideshow/276823 to view the full article online. Is it time to retool your customer service and customer experience approaches in order to keep up with today’s consumer trends? Consider the following five developments, each of which is important enough that I’ll be exploring it in depth in upcoming days, in a series of individual articles. Visit http://www.forbes.com/sites/micahsolomon/2016/07/12/the-future-of-customer-service-five-consumer-trends-and-best-practices/#27fd809dd613 to view the full article online. Whether you just started a small consulting business, run a local consignment shop or opened a café, you are constantly looking for ways to attract business without breaking the bank. Here are my best strategies, digital and off-line, to market your business while ultimately saving you money. Visit http://www.wordstream.com/blog/ws/2016/06/23/small-business-strategies to view the full article online. We live in a world of words. Our memos are written in words; our emails are written in words; our marketing plans are written in words. Yet, there are no words in your mind. There are only sounds. Visit http://adage.com/article/al-ries/forget-words-constructing-a-slogan-sounds/304819/ to view the full article online. DRB Systems, a leader in car wash software and hardware solutions, is hosting a FREE bus tour in Cleveland, Ohio, on July 26 and 27, 2016. The 2016 Rock This Town Summer Learning Tour offers two days packed with industry knowledge and entertainment, including tickets to the Cleveland Indians Game vs. Washington Nationals. 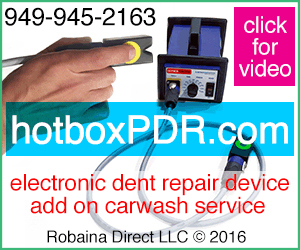 Visit http://www.carwash.org/news-landing/2016/07/13/drb-systems-july-bus-tour-is-rocking-cleveland-with-the-rock-this-town-summer-learning-tour to view the full article online. Washworld, Inc., has added Aquatech Car Wash Solutions, LLC, located in Germantown, Maryland, to its Distributor Network. Aquatech will be selling and servicing Washworld wash systems to Maryland and Delaware. Visit http://www.carwash.org/news-landing/2016/07/11/new-distributor-for-washworld to view the full article online.